Is Redstone the first Windows 10 update? Windows 10 might be well on the way, but that hasn't stopped Microsoft's next Windows project - codenamed Redstone - from peeking out publicly for the first time. First reported by Neowin, the Redstone project will be a Windows OS update next year and it's thus far unclear whether it will refresh Windows 10 or be a part of Windows Server 2016. Redstone will be released in two waves, one in June of 2016 and one in October 2016. The Redstone name itself comes from the Microsoft-owned Minecraft video game where it is a construction "block" and this follows the policy of naming projects after features from games such as Cortana and Spartan from Halo. A large-scale update to Windows 10, though not impossible, is unlikely at such an early stage after its release and Redstone can be expected to be a smaller update that makes small tweaks to the new OS. It could also be related to Windows Server 2016, which gets its first release next year, something that breaks with Windows Server's tradition of being released side-by-side with the new Windows OS. 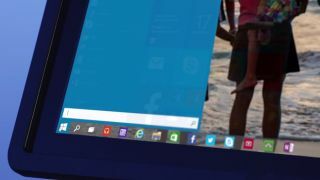 Windows 10, now well into its technical preview period, will be released later this year and is offered as a completely free upgrade for all Windows 7 and 8.1 users for at least 12 months with pirated copies also able to be updated for free.